The revised version of the regulation governing human subjects research (i.e. 45 CFR 46 also known as the Common Rule) became effective January 21, 2019. Due to this revision, several IRB forms, templates, and policies have been modified. Always refer to the HSPP web site to ensure you are using the most recent version of a form. The following sections contain a summary of those changes. The Consent Form Template and Consent Checklist were revised to incorporate seven new elements of consent for federally funded/supported research. For those approved federally funded/supported research studies that are actively enrolling subjects, investigators should submit either at the time of continuation or through a request for modification a revised consent form with the new required elements. Until such time as this review occurs studies are considered grandfathered under the current version of the Common Rule. Subjects will not be required to be re-consented based solely on these changes. For federally funded/supported studies that are closed to new enrollment the consent form will need to be revised only if there is another reason that triggers a change to the document. For example if new risks are being disclosed, at the time the consent is revised to incorporate the new risk the consent would also have to be brought into compliance with the new requirements. For previously approved non-federally funded/supported research, no changes are necessary; however, these new elements will be used as the guiding principle of consent elements moving forward. Waiver/Alteration of Consent: If the research involves using identifiable private information or identifiable biospecimens, the investigator will need to explain in the waiver document why the research could not practicably be conducted without access to and use of the identifiable private information/biospecimens.If a waiver is necessary for federally funded/supported studies investigators must be sure to address the additional element describe above at the time the study is transitioned to the revised rule. Waiver of Documentation of Consent: There is a new provision for allowing for waiver of documentation of consent. Documentation of consent may also be waived if the subjects or legally authorized representatives are members of a distinct cultural group or community in which signing forms is not the norm, that the research presents no more than minimal risk of harm to subjects and provided there is an appropriate alternative mechanism for documenting that informed consent was obtained. Changes to Continuing Review Requirement: Unless otherwise required and justified by the IRB, continuing review will no longer be required for non-FDA regulated federally funded research that meets the criteria for expedited review. Investigators who have non-FDA regulated federally funded research that qualifies for expedited review will be asked to provide an expected completion date of the research, which will become the expiration date of IRB approval. For previously approved research this may be provided as part of one last request for continuation (e.g. if IRIS has already generated a continuing review due task) or as part of a request for modification. The PI will be required to submit a request for modification to extend this expected completion date if necessary. The IRB may require justification for the expected completion date as it deems appropriate. Note: Continuing review is still a requirement for all FDA regulated research even if all subjects are in long-term follow-up or the research is in data analysis. Any study that does not requires continuing review still need to submit a modification to the IRB prior to implementing changes to the conduct of that study except when the change is necessary to eliminate immediate hazards to subjects. Modifications include, but are not limited to, change in design, removal or change to survey tool, change in funding source, change to recruitment materials, adding or removing investigators, changing the title of the project, requesting additional subjects beyond the original approved number, changes to informed consent forms, or other correspondence with potential or current subjects. With the exception of reporting changes in study personnel, once the determination is made to accept the external IRB as the IRB of Record, from that point forward the UConn Health investigator only deals with the IRB of Record for the review of continuations, modifications, unanticipated problems and non-compliance. The Principal Investigator is responsible for knowing and following the requirements of the reviewing IRB, inclusive of requirements for reporting subject complaints, non-compliance, unanticipated problems and outcomes of audits and inspections. The PI is responsible for ensure that the research team is also aware of and follows such. 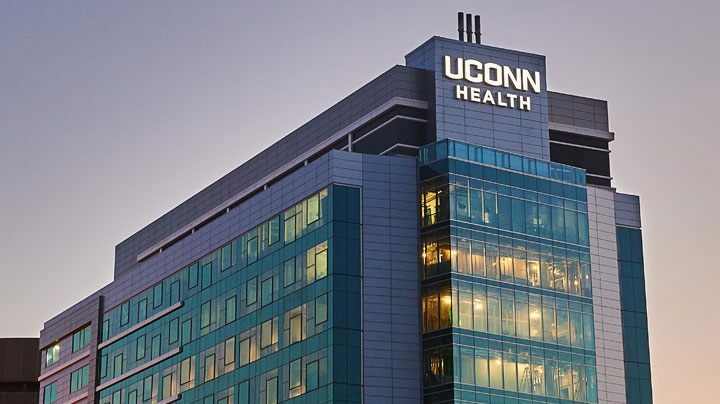 Research for which IRB oversight has been deferred to an external IRB may still be subject to audit by the UConn Health Research Compliance Monitor. Privacy applies to the individual and confidentiality applies to the data obtained from the individual. Therefore, the privacy of the subjects in a research study can be maintained by conducting the consent process, interviews, and procedures in a private room. The confidentiality of the subjects’ data can be protected, for example, by storing the data on encrypted password protected computers. The Revised Common Rule expanded the definition of “clinical trial” with the intention of harmonizing with the National Institutes of Health’s definition. The expanded definition includes any “research study in which one or more human subjects are prospectively assigned to one or more interventions (which may include placebo or other control) to evaluate the effects of those interventions on biomedical or behavioral health-related outcomes.” Importantly, the revised definition includes studies that had not previously been considered clinical trials, like social and behavioral research. What if my study meets the expanded definition of a clinical trial? 1) If your clinical trial is funded by a Federal department or agency, the Revised Common Rule requires that your consent form be posted on a public platform, like ClinicalTrials.gov, after the trial is closed to recruitment, and no later than 60 days after the last subject visit. 2) If your clinical trial evaluates at least one drug, biological, or device product regulated by the FDA (See this decision checklist for more details), regardless of funder, you are required to register and post results on ClinicalTrials.gov. 3) If your clinical trial is NIH funded, in whole or in part, you are required to register the study and report results on ClinicalTrials.gov. 4) Regardless of funder, if you wish to comply with the ICMJE policy (followed by the BMJ, JAMA and many others journals) requiring registration as a condition of consideration for publication, you may voluntarily register your study with ClinicalTrials.gov. For assistance with ClinicalTrials.gov, see our webpages and contact UConn Health’s ClinicalTrials.gov Administrator, Ellen Ciesielski (860-679-6004) in Research Integrity and Compliance Services. Updated: 12/27/2018 with additional agency specific guidance and information. Effective Saturday, December 22nd at 12:00am, appropriations for fiscal year 2019 for approximately 25% of the federal government expired. Agencies who have full appropriations and are not currently impacted by the partial shutdown include Veterans Affairs, Department of Defense and Department of Health and Human Services (including NIH). Agencies that are impacted by the partial shutdown include the National Science Foundation, Department of Agriculture, Department of Transportation, Department of State, Department of Justice and NASA. Interim guidance for agencies impacted by the partial shutdown is provided below. Additional guidance will be provided if the shutdown persists. If you have specific questions about a proposal or award, please contact Sponsored Program Services. If the electronic system for submission is operating, the proposal should be submitted by the deadline in the solicitation in accordance with standard practice. If the electronic system for submission is not operational or offline, the proposal will not be submitted until further guidance is received from the federal sponsor. To be safe, SPS recommends that you prepare your proposal for submission as best you can by the published deadline, even if it cannot be submitted. Currently Grants.gov and FastLane (NSF submissions) is available and operational. Current funded awards may continue regular activities and incur normal expenses (exception: NSF payments systems are not operational – contingency plans will need to be further discussed if the shutdown persists longer than a couple weeks). Contact SPS prior to charging any major or capital expenses. UConn may not receive new awards during the shutdown. Sponsor required prior approval requests (i.e. No Cost Extension requests) may not be approved during the shutdown. Please contact SPS with specific questions about your award. No new funding opportunities will be issued. FastLane and Research.gov is available for most functions but NSF will not process proposals or prior approval requests until normal operations resume. Annual and final project reports should be submitted by the due date however they will not be processed and continuing grant increments will not be issued. No prior approvals and no payments will be made during the shutdown. If your grant or cooperative agreement requires access to a NASA facility or participation from NASA personnel in order to perform the instrument’s stated research objectives, the guidance in paragraph (a) below is applicable. If your grant or cooperative agreement does not require access to a NASA facility or participation of NASA personnel in order to perform the instrument’s stated research objectives, the guidance in paragraph (b) below is applicable. To the extent the grant or cooperative agreement includes work performed on-site at a NASA facility, the NASA facility will not be available for the performance of such work beginning on December 26, 2018. You are instructed to commence an orderly shut-down of your onsite operations and you are to preserve resources and take all actions necessary to minimize costs incurred under the subject grant or cooperative agreement during this Government shutdown. This includes notifying your employees immediately of this orderly shutdown. Contact Sponsored Program Services immediately if this applies to your award. Since your grant or cooperative agreement does not require access to a NASA installation, access to NASA IT resources and data, or participation of NASA personnel in order to perform the instrument’s stated research objectives, you are to continue to perform research under your grant or cooperative agreement as long you have available funding. Special Condition 1260.53 Incremental Funding (for awards subject to 14 CFR Part 1260) or Term and Condition 1800.921 Incremental Funding (for awards subject to 2 CFR Part 1800) of your grant or cooperative agreement specifies the total amount of funding that has been allotted to your grant or cooperative agreement. You are also reminded the Agency is not obligated to reimburse your institution for the expenditure of amounts in excess of the total funds allotted to this grant or cooperative agreement. Your institution is not authorized to continue performance beyond that period covered by the allotted funding and is cautioned to closely manage all available funding, as additional funding will not be provided while the Agency is without appropriations. Any research performed during this time period should be carefully planned, taking into account that NASA technical and administrative personnel will not be available to support these activities during the Government shutdown. Expenses and work should not exceed the funding and time of the award even if additional funding and time is expected. Contact Sponsored Program Services if you have additional questions. NEH is currently shut down. We expect that grant proposals may still be submitted via Grants.gov but per their website, NEH will not update information, process transactions or respond to inquiries until funding is resumed. We also do not expect NEH to issue awards during this period. Additionally, electronic systems utilized by the Department of may not be functional (Grants Online which supports EDA and NOAA is not currently functioning). NEA is currently shut down. We expect that grant proposals may still be submitted via Grants.gov but per their website, NEH will not post messages or respond. We also do not expect NEH to issue awards during this period. NIFA program activities will be suspended during a shutdown. The scope of the activities includes all NIFA extramural funding programs supporting research, education, extension or a combination of two or more of these functions. This includes agency activities associated with competitively awarded, noncompetitive Federal financial assistance payments, capacity and infrastructure, endowment, and all other NIFA grant programs. As a general rule, recipients of funded grants and cooperative agreements can continue work on their projects during any EPA shutdown. Grant recipients currently approved to utilize the Automated Standard Application Payment (ASAP) system may make drawdowns of authorized obligated levels during a shutdown. With the exception of grant recipients using ASAP, in the case of government shutdown no payment processing will be available for cost reimbursable or recipients with special award terms and conditions requiring EPA approval prior to payment disbursement (either by paper check, drawdown, or by ACT payment outside to the ASAP system). EPA staff will not be available to make payments until the shutdown ends. Recipients must stop work if they reach a point at which they require EPA involvement or approval. UConn Health, UConn Schools of Medicine and Nursing, and The Jackson Laboratory (JAX) have announced the creation of the Connecticut Pain Consortium, a translational pain research and education collaboration which is the first of its kind in the Connecticut medical community. The Connecticut Pain Consortium will focus on a problem of national importance: the need for fundamental and translational research on the causes and manifestations of pain, pain management, and education about pain and its ramifications. The consortium will be led by Professor Dr. Reinhard Laubenbacher, a joint faculty member at UConn Health and The Jackson Laboratory, who also serves as Director of the Center for Quantitative Medicine at UConn Health. To learn more, visit the Connecticut Pain Consortium website. The Association for Accreditation of Human Research Protection Programs (AAHRPP) is an independent, non-profit accrediting body that works to protect the rights and welfare of research participants and promotes high-quality research through an accreditation process. UConn Health’s Human Subjects Protection Program (HSPP) achieved AAHRPP accreditation in 2006. As an accredited organization, our HSPP must periodically apply for re-accreditation. This is a two-step process. Step 1, which has been completed, consisted of AAHRPP reviewing all of our policies and procedures to ensure they meet regulatory and accreditation standards. Step 2 is an onsite visit by AAHRP representatives to ensure that our policies and procedures are followed. While specific dates have not yet been determined, the next accreditation site visit will occur in the spring of 2019. During the site visit, representatives from AAHRPP will conduct interviews and review studies records to ensure that policies and procedures have been implemented effectively. AAHRPP representatives will interview the Institutional Official (Wesley Byerly), IRB members, HSPP staff, investigators and research study team members, and individuals that represent various research compliance functions, such as radiation safety, research pharmacy, scientific review, and conflicts of interest. Individuals selected for such interviews will be asked questions about regulatory and ethical issues related to research with human participants and how they interact with the IRB. Investigators and research staff will also be asked about the conduct of their research studies. Types of training individuals have received in human subject’s protections. If you are selected for an interview, you will be notified a few weeks prior to the site visit. An educational handout will be provided to help you to prepare. In addition, you can request an educational session with the Educational Specialist to learn more about the site visit and possible interview questions. The deadline to submit your comments on this draft, electronically or by paper, is November 20, 2018. To check if your trial meets the criteria for ClinicalTrials.gov registration and results posting set forth by the FDA, see the checklist found here. Applicable clinical trials include those evaluating at least one drug, biological, or device product regulated by the FDA. If your NIH-funded study involves human subjects, check here to see if it meets the NIH’s broad definition of a clinical trial and will require registration and results posting. NIH defines a clinical trial as a research study in which one or more human subjects are prospectively assigned to one or more interventions (which may include placebo or other control) to evaluate the effects of those interventions on health-related biomedical or behavioral outcomes. Does NIH require you to register your basic science research in ClinicalTrials.gov? NIH has released a Request for Information (RFI), Registration and Results Reporting Standards for Prospective Basic Science Studies Involving Human Participants. This RFI seeks input from the scientific research community and the general public regarding how best to implement the NIH Policy on the Dissemination of NIH-Funded Clinical Trial Information (NOT-OD-16-149) for prospective basic science studies involving human participants. NIH is specifically interested in learning more about studies that meet the NIH definition of a clinical trial (NOT-OD-15-015) but are not defined as applicable clinical trials (42 CFR Part 11), and also meet the definition of fundamental research. You can submit your comments here by November 12, 2018. An investigational drug is one that has been tested in a laboratory and in animals and is being studied in human for efficacy and safety. Investigational drugs are not yet approved by the Food and Drug Administration (FDA) for use in the general population. There are various mechanisms through which patients may obtain access to an investigational drug. These mechanisms include 1) clinical trials 2) the FDA’s expanded access program or 3) the recently passed Federal law known as the Right to Try Law. Each of these mechanisms will be discussed below and then compared in table format. Clinical Trials: The standard mechanism for obtaining access to an investigational drug is through participation in a clinical research trial. A clinical research trial is conducted in accordance with a formal research protocol and its purpose is to evaluate the effectiveness and safety of an investigational drug. To participate in a clinical trial the patient must have the disease or disorder that is being studied and must also meet any specific inclusion or exclusion criteria defined in the research protocol. Patients can search for clinical trials that are being conducted at https://clinicaltrials.gov/. Expanded Access Program: If participation in a clinical trial is not possible, access to an investigational drug may be sought through the FDA’s Expanded Access Program (EAP). The individual must have a serious/immediately life-threatening disease or terminal condition. There must not be a comparable or satisfactory alternative therapy to diagnose, monitor, or treat the disease or condition. The individual is unable to participate in a clinical trial. Providing the drug to the patient will not interfere with the conduct of the clinical trial. Right to Try Law: The Right-to-Try Law (RTT) was enacted on May 30, 2018. It is intended to provide terminally ill patients a more streamlined mechanism for access to investigational drugs. The Right to Try Law provides a right to request access to the drug. The manufacturer of the drug is under no obligation to grant such requests. Like the EAP, the RTT law allows for the use of an investigational drug by a patient who has been diagnosed with a life-threatening disease or condition, who has exhausted approved treatment options, and who is unable to participate in a clinical trial involving the eligible investigational drug. An eligible investigational drug means a drug for which a Phase 1 clinical trial has been completed but the drug has still not been fully approved by the FDA. A Phase 1 clinical trial is done primarily to determine the dose of the drug that may be given safely to humans. Determining whether the drug is actually effective comes in later phases of the trial. Unlike the EAP, the RTT law eliminates the need for approval from the FDA and Institutional Review Board and it provides the sponsor and physician protection from liability associated with harm caused by use of the investigational drug. While the RTT law does specify that the treating physician must obtain the informed consent of the patient, unlike the EAP, the RTT law does not specify the required elements of that informed consent. Because the RTT law is fairly new, it is not yet clear whether this mechanism will be accepted by manufacturers of investigational drugs. The following table describes the major similarities and differences of the three current processes by which seriously ill patients may obtain access to investigational drugs. Who can participate? Patients with a condition for which a drug is being developed who meet the inclusion criteria for the trial. Patients with a serious/immediately life-threatening disease or terminal condition, unable to participate in a clinical trial. Patients with a serious/immediately life-threatening disease or terminal condition, unable to participate in a clinical trial. How can I learn about research studies that are looking for volunteers?